Plot Basics: Helena, orphaned at birth, is raised by her strange group of aunts, who each give her a special gift at her christening. As she grows, she’s beautiful, talented and unsatisfied as she tries to understand the last gift from her blind, and strangest aunt Kitty. As her other aunts try to protect her, Kitty’s plans for Helena move forward anyway. At the girl’s 16th birthday party, the plan comes to fruition in secret rooms and shattering mirrors that might finally be able to resurrect lost loves. 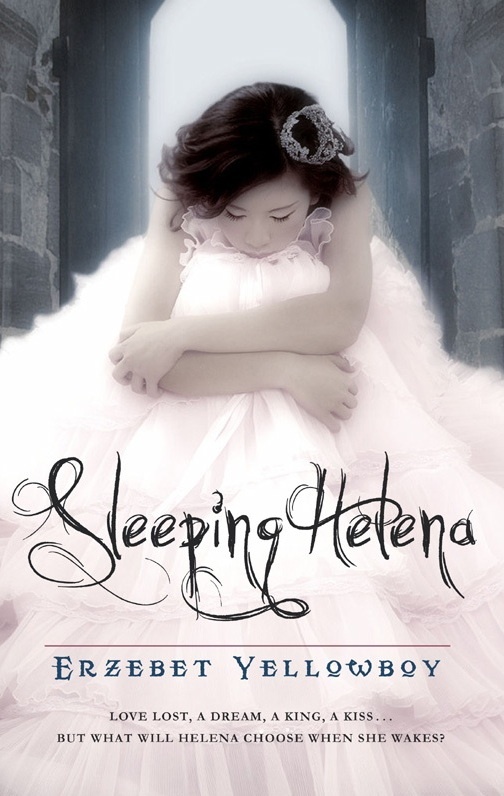 Banter Points: This is a phenomenal retelling of Sleeping Beauty. I was attracted to the book because of the great cover image and just decided to check it out without knowing anything else really about the story. It’s a short book, but the writing is tight and compact to keep the story going, especially as it wanders over several characters and time periods. It was a fun twist on the fairytale, taking a concerned look at how the wounds of childhood impact adults for years to come and build the base for many fears that propel actions. Bummer Points: It’s Sleeping Beauty and it’s not. While the writing was nice and tight, I actually would have been quite content to spend another 200 pages or so with Helena and her crazy aunts to get an even more robust picture of this odd and broken family. Word Nerd Recommendation: It’s a quick read and I’d vote for it as being a worthwhile choice. Fans of the old Terri Windling/Ellen Datlow fairytale collections would like it for sure.